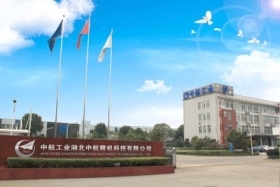 HAPM is a major Chinese automotive seat mechanism and frame supplier and a subsidiary company of AVIC Electromechanical Systems Co. Ltd.
Canadian auto parts giant Magna International Inc. has expanded its reach in China through a joint seating venture with Hubei Aviation Precision Machinery Co., Ltd. (HAPM). Subject to regulatory approval, the deal is expected to close in the fourth quarter of 2017. Financial terms were not disclosed. According to Magna, the company has built a solid customer base in both domestic and overseas markets. “As the world’s largest vehicle market, China is a region in which we want to expand our seating capabilities, and with HAPM’s strong market position and seating mechanism know-how, we expect to grow our business even further in the region and throughout Asia,” President of Magna Seating Mike Bisson said in a statement. Magna said that together, the two seating suppliers can deliver a stronger product portfolio and advanced technology development to customers. “As a world leading automotive supplier, Magna’s global resources and expertise will be vital to the joint venture’s success,” Chairman of AVICEM, Wang Jian, said in the same statement. Established in 1995 and headquartered in Hubei Xiangyang, HAPM designs, develops and manufactures a wide range of automotive seating products from manual/power recliners, tracks, height adjusters and structures.